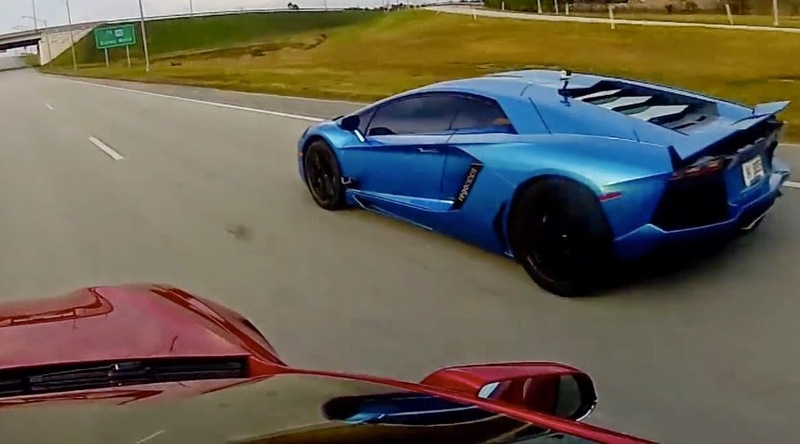 Tesla P85D with 691 horses vs. Lamborghini Aventador with 691 horses, who will win? Lately, we have seen how electric cars are slowly coming on the world stage of supersport class cars which have so far dominated the known traditional companies like a Ferrari, Porsche, Lamborghini. But after "Rimac Concept One" car that swept them all with strength and design, comes another electric car which, unlike the Concept One's, you can use every day for shopping, driving children to kindergarten, to school, to work and generally for everyday things, with fivefold lower price. Tesla P85D is truly a masterpiece of the car, and in the following video, see how it behaves in accelerating anti identical strong Lamborghini Aventador, and later the ratio of power to his ailing sister Tesla P85.